Flow is one of the most difficult things to manage for a retail service business. People come in late, people come in early, some want the experience to last, while others prefer it short and sweet. Before proper scheduling can even happen, the appointment time structure needs to have good flow to both maximize the number of clients you can take and reduce any backup that may cause the client to have a negative experience. Carefully dissect each service and combination of services to see where there are efficiencies or delays and set up appointment times accordingly. For instance, at my center we offer a floatation and infrared sauna combination package. Given the float requires a shower before and after, but the sauna only has the shower after, it creates better flow for us to have people use the sauna first and the float second as this order uses one less step. Once the appointment times are set up to achieve flow efficiency, train the staff to know how to book people to maximize services used and increase the flow between them. When clients call in for an appointment, they often have a time in mind, but this isn’t necessarily the only time they can come in. It is important for staff to know how to maximize appointments by offering times that work for the business. Most businesses have peak hours when clients come in for services. Depending on the clientèle, this could be evenings and weekends when they don’t have to work, or this could be weekdays when they have more free time. Know your peak hours and when clients call, offer to fit them in during the least busy hours. This will leave the peak time available for those who book online or can’t come in any other time. If your services are the type where people like to come in together, be sure to keep as many double appointments open as possible. If you see a single is booked at a time and another single client calls, try to offer them the space next to the other single. No, you aren’t matchmaking. You are preventing two singles from taking up the spaces that two clients coming in together would want. This approach to scheduling can significantly increase the number of clients you can take, which means more revenues and more happy clients. It goes without saying that we like to engage with nice people. This does not mean that the reception needs to be the bubbliest person on the planet, but they do have to make the client calling in feel like they are wanted. The simplest and easiest way to be personable is to simply state the client’s name back to them. This is a powerful method of affirmation for anyone. When people say our name it is the greatest connection to our identity and our individuality. Some even say that our name is the single most important word to us. Takes notes on clients and have them available when booking appointments for them. If we can relate a personal item back to the client, they will feel valued as a person which will increase their customer loyalty and produce more repeat visits. If notes aren’t available, simply mention their last service they used and ask if they would like to book that again. Making their life easier is never underappreciated and is a great way to increase customer satisfaction. People crave continuity. Whether in a story, in a conversation, or a complicated process, having continuity keeps our minds at ease and breaking continuity creates stress. A business can use this to their advantage during the appointment scheduling process. When a client books an appointment, let them know the process they can expect when they come. This helps them to create familiarity with something they haven’t experienced yet, or creates continuity if they have. Then when they arrive and the process is as they expected, they will feel that it was a complete experience. This is especially true if the process summary is even repeated after they are finished. This method is used in education and sales alike. It creates a sense of completion and this sense of completion in education helps with retention and in sales it helps with motivating action. When you use this method in your business it will help them feel that you operate your business with excellence, which will increase their perception of your brand beyond the services you offer. Although this step is last on this list, it certainly is not least. It could just as easily be the first step because avoiding mistakes will often do more than your efforts in all the customer service strategies combined. 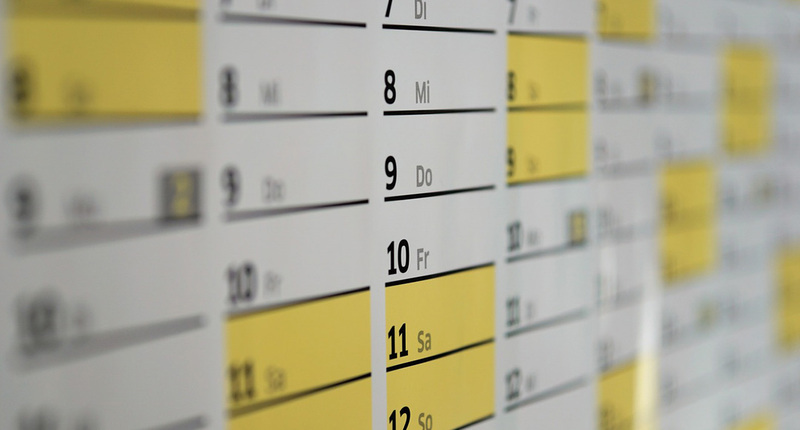 It takes a lot of work to build up a positive customer experience and all your gains can be lost with a single mistake, especially when it comes to scheduling. Double booking is likely one of the greatest offenders in the retail service industry. A client is expecting an appointment, makes time in their busy lives to be on time, and when they arrive, they find there is no space for them. Even one single experience like this can lose a client forever and motivate them to leave a poor review for other potential clients to see. After taking an appointment, have your staff read back to them their name, the service(s), for how many people, the date, and the time. It is extremely important that they read each piece of information from the scheduler itself and not from memory as they may simply repeat back what they heard even though the appointment wasn’t booked properly. This will reduce booking mistakes significantly and will go far to protect all the work you do to create a positive experience for your clients. Although taking appointments is a small step in the huge endeavor that is running your business, it is as important as tires on a car. The last thing you want is to spend enormous amounts of time and resources creating the best customer experience strategy, only to have them undermined where the rubber meets the road. 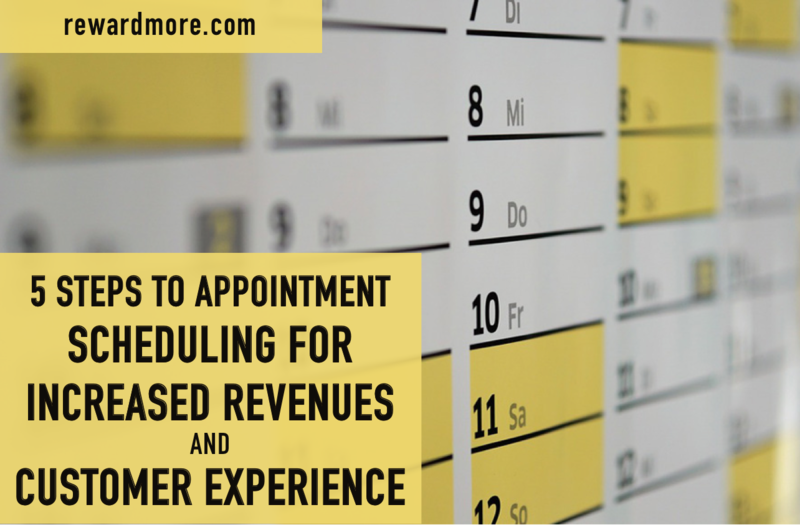 Following these 5 steps to appointment scheduling to increase your revenues and reduce mistakes. This small step in running your business has so much potential for gains and losses, it deserves your special attention.